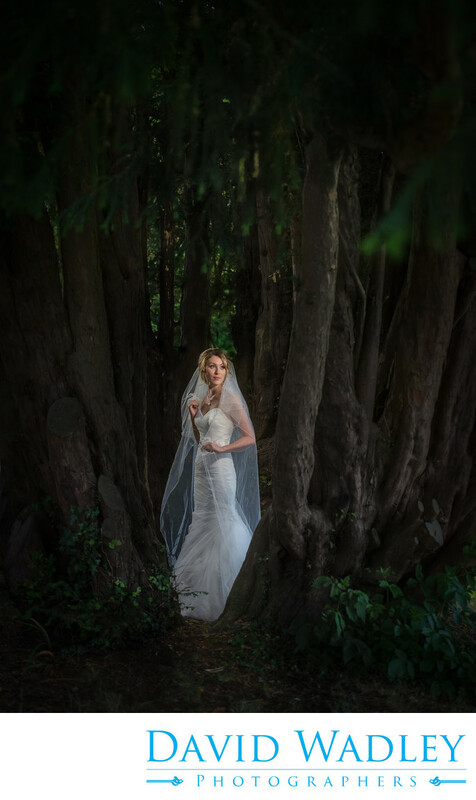 Bride in forest at Nailcote Hall. Bride in forest at Nailcote Hall. Between trees.